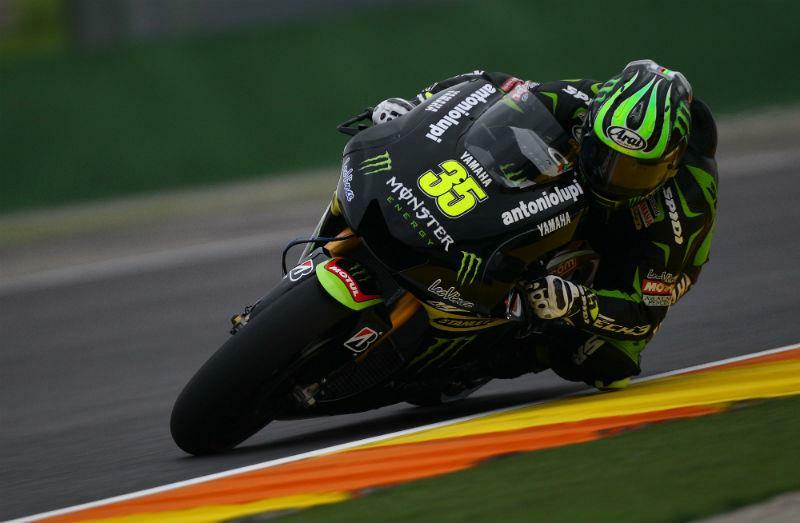 British rider Cal Crutchlow hailed Marc Marquez’s much anticipated MotoGP debut after the Spaniard finished just over a second off the fastest pace in Valencia yesterday (Wednesday). Cool, windy and wet conditions threatened to wreck Marquez’s hopes of making his first appearance on a 2012-spec Honda RC213V. But once a slow drying surface dried sufficiently for Bridgestone slick tyres to be used in the final two hours, Marquez managed to complete 28 laps and he clocked a best time of 1.33.403 to finish in seventh position. His fastest time was only 1.081s slower than teammate Dani Pedrosa and only Crutchlow and Stefan Bradl were able to lap more than 0.5s faster than the new Moto2 world champion. Marquez’s impressive debut drew plaudits from around the paddock, including Monster Yamaha Tech 3 Team rider Crutchlow, who finished second quickest. The 27-year-old, who crashed out of second in last weekend’s Valencia MotoGP clash, told MCN: "He is probably the best rider in the world at the moment, although I don't think he will challenging Pedrosa and (Jorge) Lorenzo for the title next year. Marquez is renowned for his no-nonsense approach and fearless riding, which he proved in Valencia the first time he wound the RC213V up on the start/finish straight. Crutchlow set a best time of 1.32.671 to at least head into the winter break in a positive frame of mind after the crushing disappointment of his non-finish on Sunday when he tumbled out of a safe second. He rode for 28-laps with a prime goal of assessing damage to his left hand sustained in the heavy fall.